Welcome to Mountain Niche Farm! Use the navigation tabs above to visit the various pages of our site, or read our most recent posts below. Feel free to contact us if you have questions or need additional information. Enjoy! Fall is here, boys meeting girls, back to school and back to work! Fall is coming, nights are chillin’ and the early breeding groups are done. Lambs for the freezer will be going to the shop on October 21st. I have a few extra so email if you are interested. 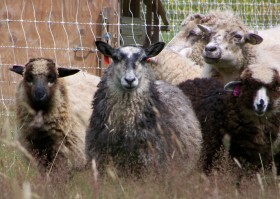 I have decided I need to offer more of my lovely sheep for sale. Since I breed for fleeces and our climate is too wet for annual growth to survive unfelted on a Churro, I shear twice a year. I usually shear late summer so they last in the barn. I have two white lovelies, an unusual NSP Blue (brown modified) and a Brown and Tan just added to my list. All my breeding stock for sale is registered. 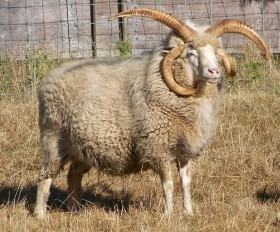 I also have 3 rams that need to find new homes. Mr. Blue 841 above is one, Green 141 is already on the sale page and my big 4H ram shown below. We might have to recycle Blue841 on Oct 21st so if he strikes your fancy let me know soon. This is the time to prepare our farm products for the Olympia Weaver’s Guild Sale or for sale to farm visitors. I will be preparing fleeces from our meat crosses for sale. 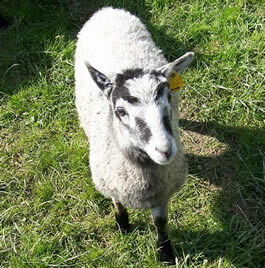 Most of the meat lambs are out of Churro moms and Iggy, our BlueFaced LeicesterX Gotland. The fleeces are shiny, mostly silvery or white, and grey. I do have several BFLXGot lambs who I will shear and could be tempted to sell their fleeces as well. The wool is shiny, silky, and wavy like kid mohair. So you spinners and felters would really enjoy it. 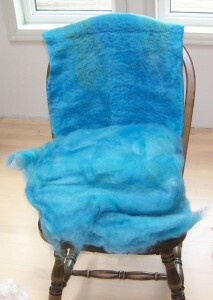 Fiber will be eventually be added to our website but for now, enjoy this piece of felt in blue and other mixed colors. The batt the felt is made from can be purchased for $30. Its a 15 ounce batt approx 36 X 45. The chickens are almost all harvested. Just one group left to go! Sheep are growing and I have added some to the sale listings. We will have both cross and purebred animals for sale. Registrations have been sent in for the 2011 crop. We have a few crossbred BFL X Gotland ram lambs to offer as terminal sires. This cross provides a lovely silky fleece, like mohair for you spinners, dyers and felters. Two nice cross boys are grey and two are whiter. No worries about these guys as they will finish out nicely for the freezer if they don’t sell, with one sticking around as an emergency replacement for the Big Guy Iggy (their dad). Shetland cross ewe lamb surrounded by Churros! The fields are doing well, we are managing them better this year, less sheep means less overgrazing. Unfortunately, there is always a small amount of time between enough sheep to keep the grass down and too many in a space too long. We are always working on keeping the focus on the grass and its needs and being distracted in other farm tasks. Our next focus is a more appropriate size of a paddock for the flocks to allow good coverage, but not allowing the sheep to go to low in their favorite grazing spots. Reseeding our fields would be great but likely it won’t happen anytime soon. Other activities around the farm this summer include replacing assorted flowers and other plants with edible landscape or habitat flowers. We replaced two rhododendron trees (really they were growing into trees!) with an arbor for honeysuckle for the hummingbirds that tend to visit. Next is to replace some overgrown azaleas with mountain huckleberries. Our focus on the farm is to have a diverse genetic group of sheep, offering culls to the freezer. When folks are eating and not raising sheep, some really nice animals have gone into the locker. This year we have some really nice ones available, with the ewes being sent in for registration last week. 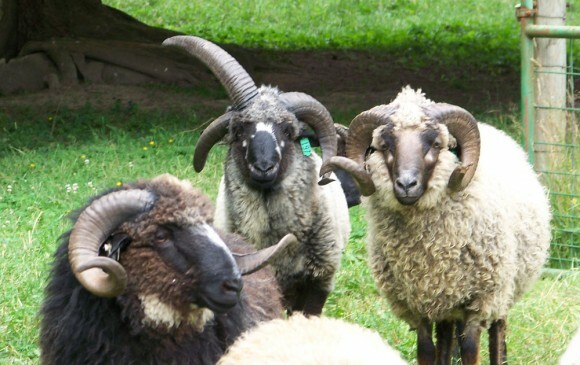 I will list a couple of unregistered boys, simply due to lack of timing on the shearing. Take a look and shoot me an email if something strikes your fancy. The weather was fantastic yesterday (warmest day since Sept 2010) and I went out and took some pictures of the chickens in the bright sunlight. See our Chickens page for more pictures. We have sold all of our Leicester Longwool breeding stock and are no longer raising this breed. 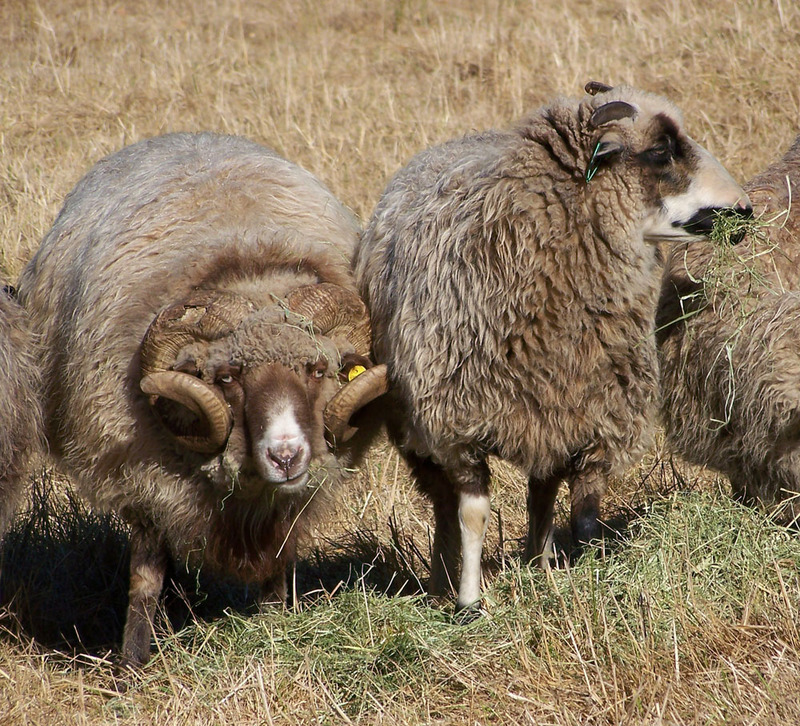 For general information on Leicester Longwool sheep, please contact the breed association secretary Joan Henry at grazingherd@frontiernet.net or see the breed association web site.